We are all familiar with the delete function on Windows computers. It’s that indispensable feature that allows you to remove unneeded or unnecessary files stored on your hard drive. But did you know that you are not really removing a file from your hard drive by simply using this delete feature alone. Find out why this is and how you can take the proper steps to ensure that a file is completely gone from your hard drive to free up valuable space. There are multiple ways to delete files. Some of us just click on a file and press the “Delete” button on our keyboards. Some of us right-click on a file and select “Delete” from the drop down menu. Others simply click on a file, continue to hold down the mouse button, and then drag the file over to the Recycle Bin on the Windows desktop. None of these features, however, really delete the files from your computer. In all of these instances, you are simply relocating the file to the Recycle Bin. The Recycle Bin basically serves as a trash can for your computer that must be taken out every once in a while. When you throw trash into the trash bin at your home, it remains there until you take it out to the dumpster. Unless you do this, the trash just remains in your home and builds up over time. The same is true for the Recycle Bin on your PC. 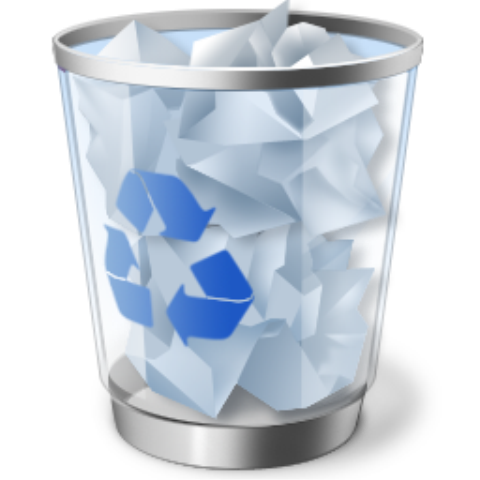 Until you actually “take out the trash” it remains in this bin and therefore still on your hard drive taking up space. It’s purpose is to allow you to easily restore files that may have been deleted accidentally, but most of the time the files are deleted intentionally. 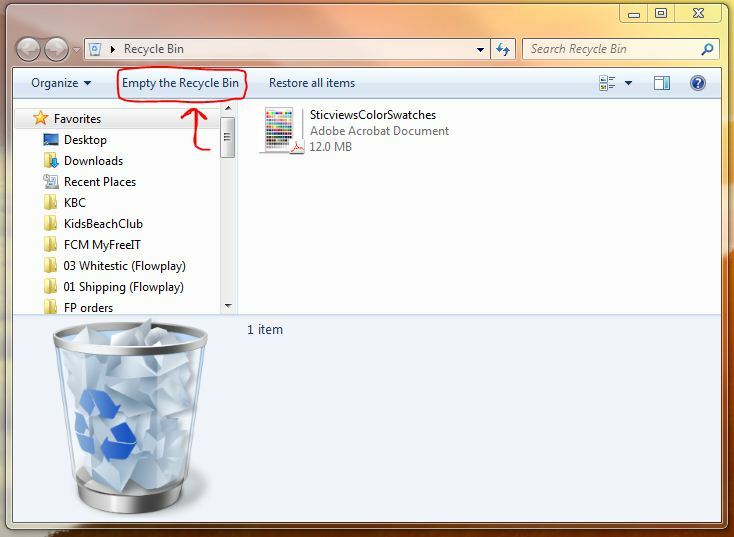 Double-click on the Recycle Bin on your desktop (chances are you will see it filled with files). At the top of the window click the text that reads “Empty the Recycle Bin” (as seen in this screenshot). That’s all. The files are now completely removed from your computer’s hard drive. Now, let’s say you want to bypass the Recycle Bin and completely delete the file from your hard drive in one step. That can also be easily accomplished. Click once on the file that you wish to delete. Now, press and hold SHIFT then press the DELETE button on your keyboard. This tip works great if you forget to regularly clean out your Recycle Bin. It actually completely eliminates the need to regularly clean it. For more tips on how to make better use of your computer, be sure to check out our other blog posts.